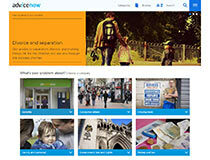 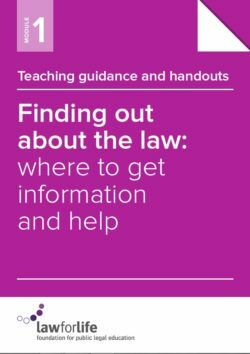 Law for Life and its award-winning information service Advicenow (www.advicenow.org.uk) have developed a free training resource focusing on the development of legal capability, particularly for those working in community organisations and who do not have prior legal training (intermediaries). 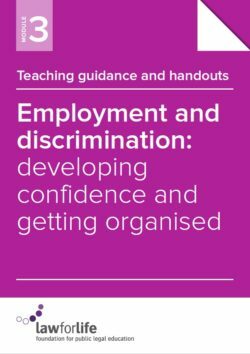 The resource consists of 4 training modules containing teaching guidance and handouts. 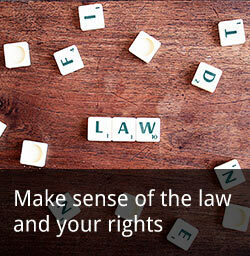 Four different legal topics have been paired with particular skills to form each module. 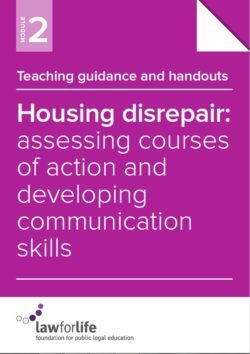 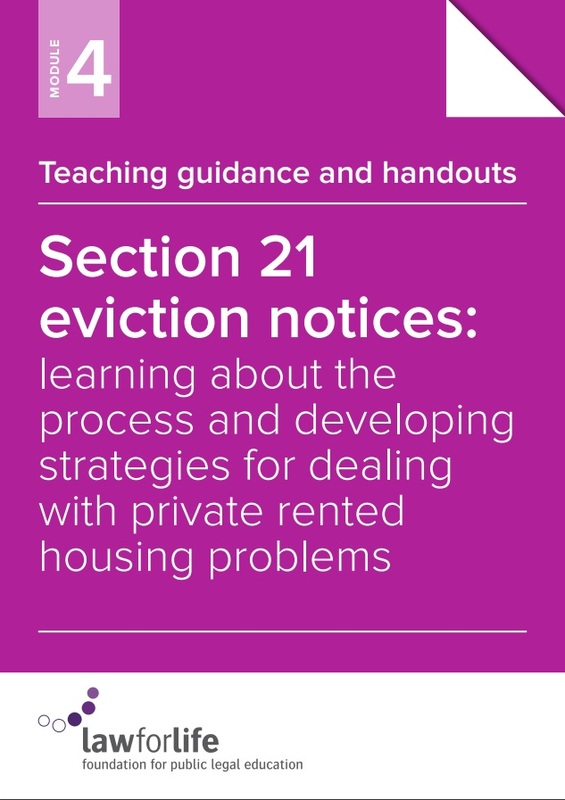 Module 4: Section 21 eviction notices: learning about the process and developing strategies for dealing with private rented housing problems.